At Vale Vets, we draw from over 25 years of veterinary experience to care for all kinds of pets across the Norbury area. We understand that each patient is a beloved family member, and are dedicated to providing them with personalised treatment and expert care at every visit. Our practice is focused on understanding the needs and lifestyle of every pet, and building a positive, long-term relationship with every client. The Vale Vets surgery is well-established in the Norbury community, and serves many nearby residents – why not drop in for a check-up? We can be found at the end of Woodmansterne Road, and it’s easy to reach us via Stanford Road or Northborough Road, by following Rowan Road north onto Streatham Vale. There is plenty of free on-street parking outside the surgery on Woodmansterne Road, or around the corner on Farmhouse Road – approach via Abercairn Road. At Vale Vets, we offer a wide range of services to benefit every pet, and improve their overall wellbeing for a long and healthy life. By maintaining relationships over your pet’s lifetime, we are able to provide a more efficient diagnosis, and suggest the most appropriate treatment on an individual basis. Our services range from specialist care for your new kitten or puppy, to long-term treatment sessions and care for senior pets. We also offer a Vale Vets pet care plan, which covers free check-ups, free vaccinations and a 10% on any other treatment your cat, dog or rabbit may need. For more information and a complete list of the options available visit our services page. We also cover nearby areas including Croydon, Dulwich and Thornton Heath – please visit the relevant page for more details and how to find us there. If you are looking for a friendly, modern veterinary practice in Norbury, contact Vale Vets. We know that the best care is provided by understanding the individual client, and we make sure to fully get to know the lifestyle of your pet to help you both be happier and healthier. If you have concerns about your pet, or would like advice about looking after a young kitten or puppy, arrange an appointment today. Speak to a member of our professional team by calling 0208 679 6969 or emailing us at info@valelvets.com. We look forward to speaking to you soon. “I have been going to the Vale Veterinary Clinic since my cat Spitfire was a kitten. More than just a vet. 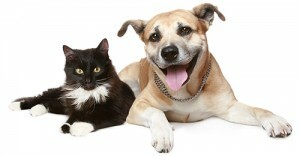 Vale Vets have been looking after our pets for over 16 years now and we wouldn’t go anywhere else. When I was approached about giving my opinion as to my thoughts on my experience as a client of Vale Vet Surgery over many years, (exact amount I can’t recall), I was only too glad and honoured to do so.